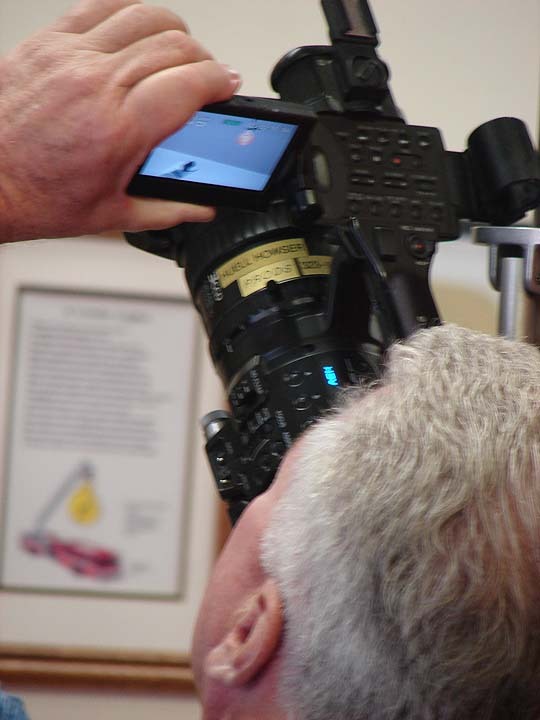 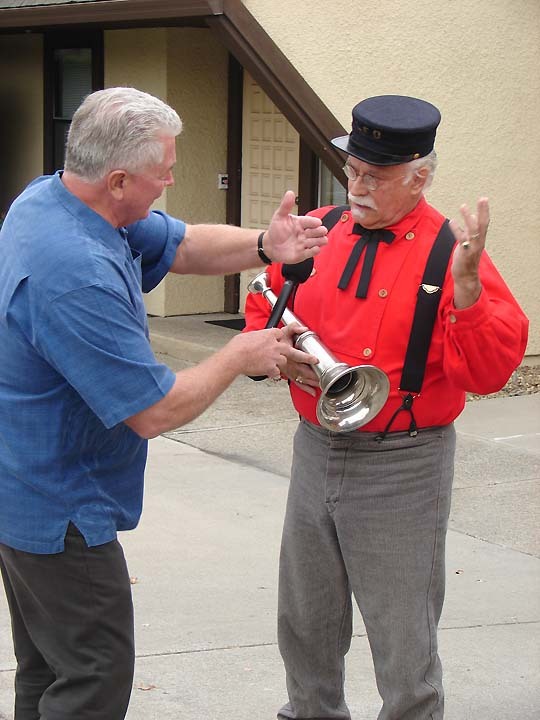 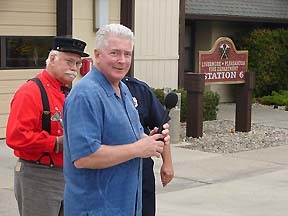 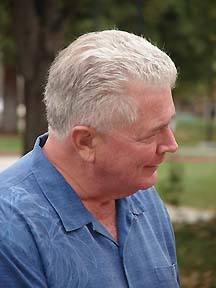 On Oct 29, 2008 the Lightbulb had a visit by Huell Howser, of California Gold. 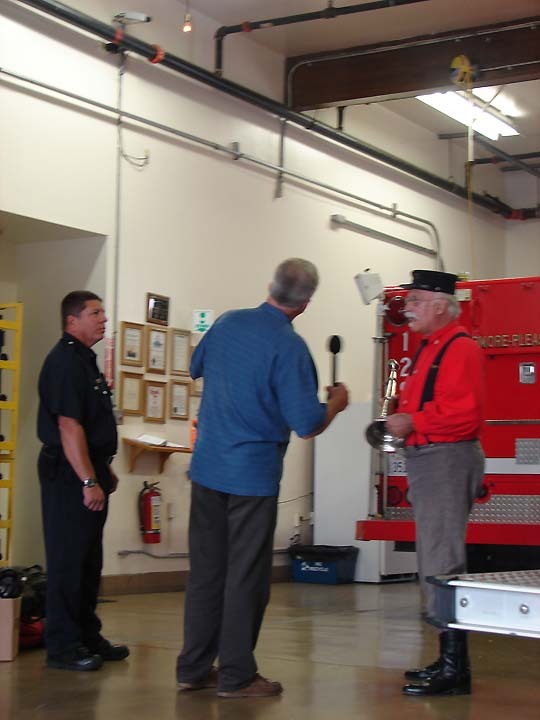 He was met by Retired Division Fire Chief Lynn Owens and Fire Engineer Pierre Rodriguez, who told the story of the lightbulb. 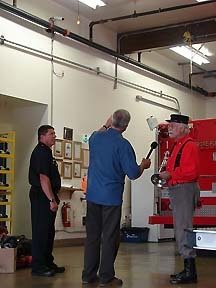 Lynn, who came in his old time firemen garb, is the chairman of the lightbulb committee, and Pierre is folowing in his footsteps of being the bulb historian. 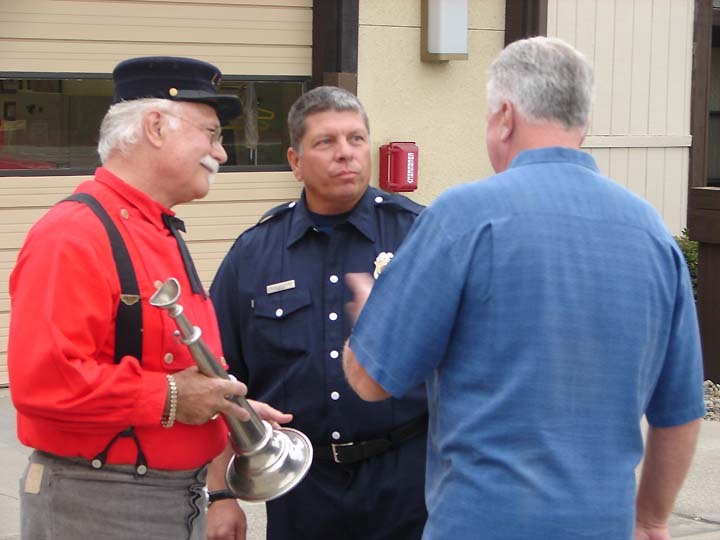 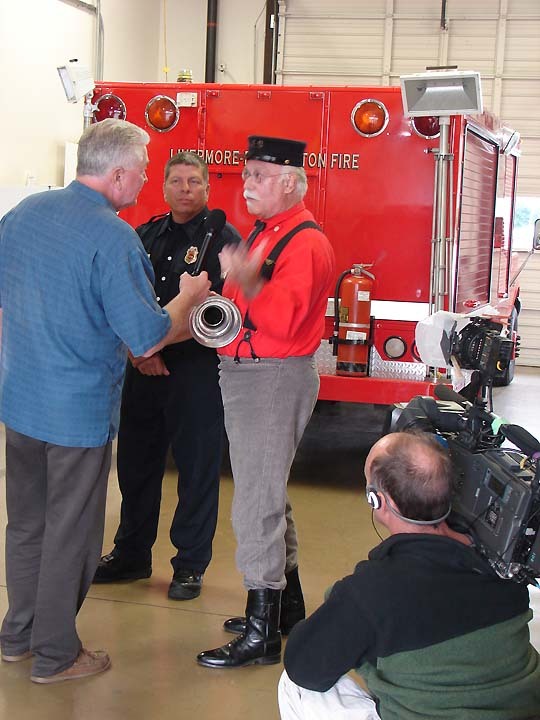 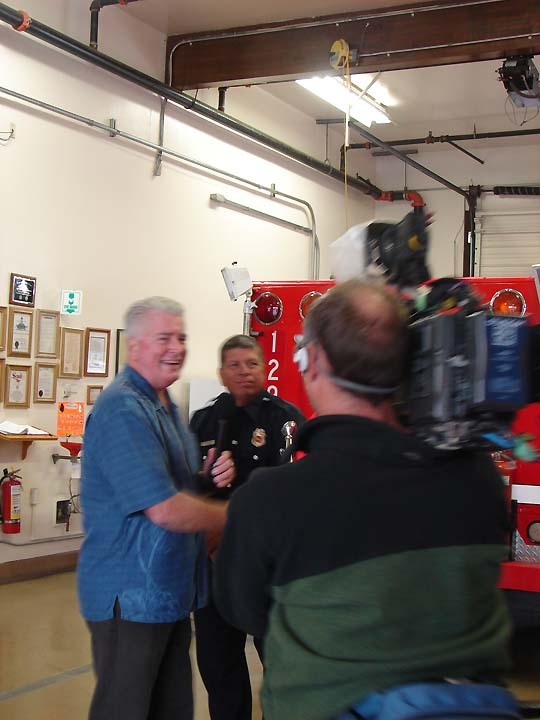 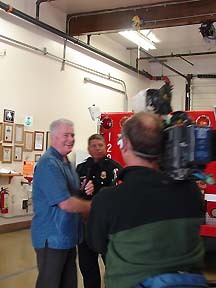 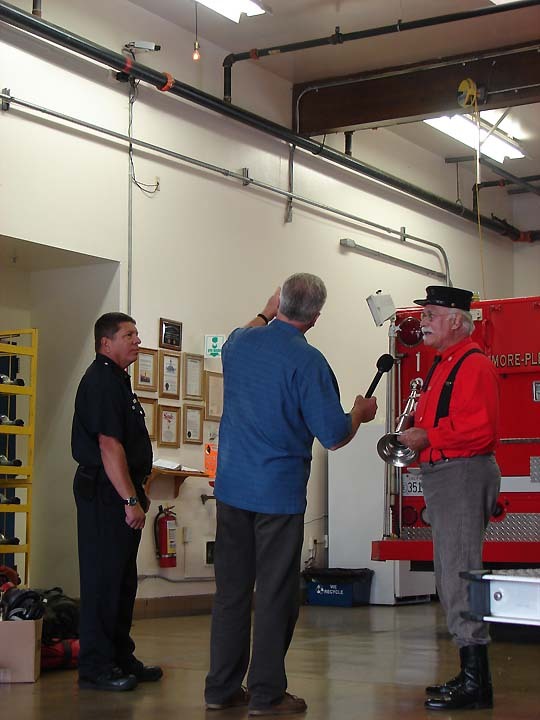 Huell was a lot of fun, and gave an enthusiastic interview to our firemen. The pictures of his visit are found below. 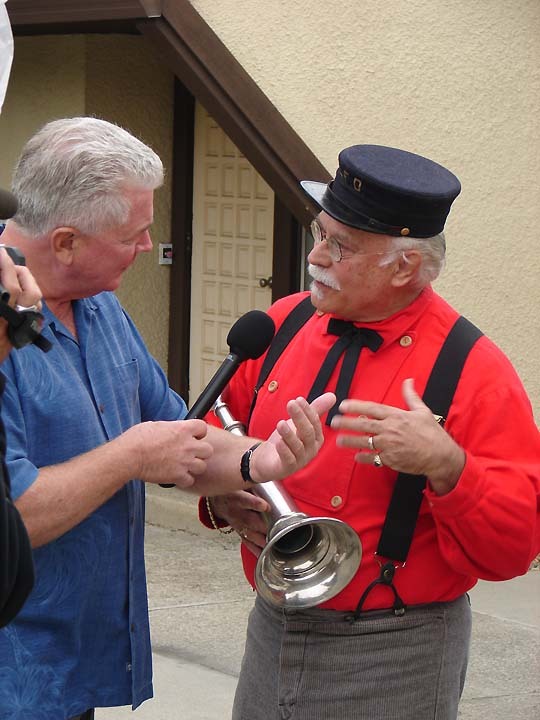 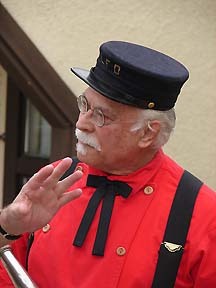 California Gold, a popular PBS program, has its own website, Huell Howser Productions, and has a listing of its current programming. This episodes is called "Places Ive Always Wanted To Visit But Never Had the Time to Until Now ". 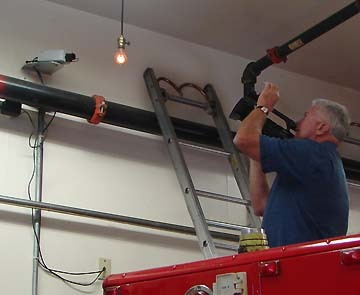 Thank you Harry for putting a picture of our Bulbcam on your front page! 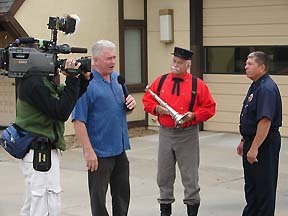 Huell started in front of Station 6 saying he didn't want to see the bulb until after he talked to Lynn & Pierre about the history. Lynn is holding his antique megaphone. 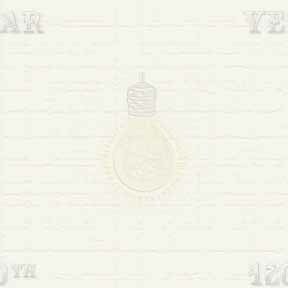 Even though it's a small 60W bulb, it carries an aura of history and beauty in its glow. 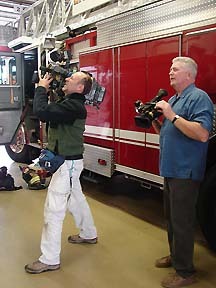 Huell and camerman Cameron Tucker were equally impressed. 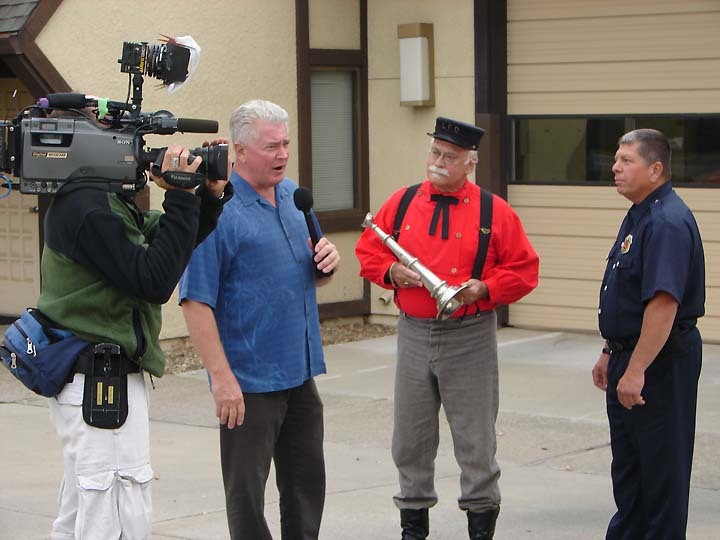 It was great fun meeting Huell and Cameron, and watching the historic interview first hand.